Stamped it in black memento and using promarkers coloured it in,mucked it up but did another then mounted them together to stand out more and then dry embossed the frame. Really simple but quite pleased with it. This is just adorable. Love the saying, too. Love your use of the challenge colours! The dry embossed frame adds a lot to the card as well! Very nice! LOL! 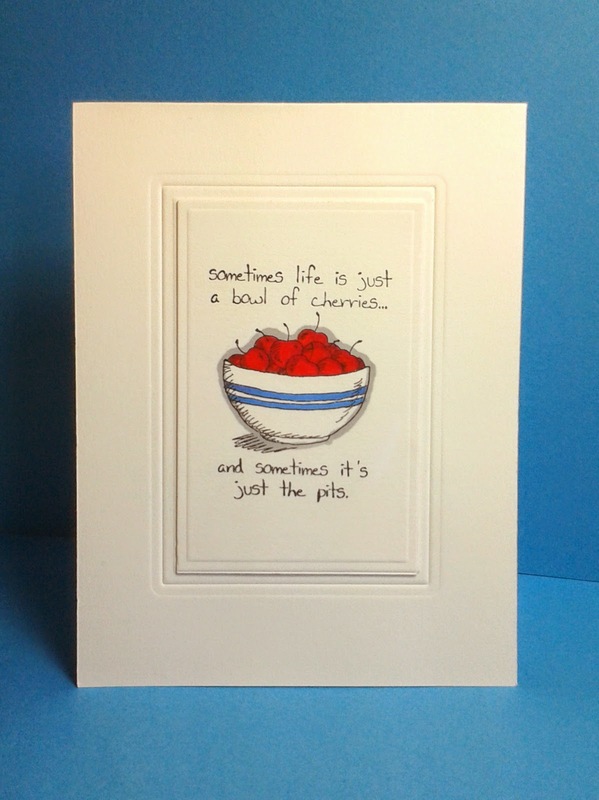 Great image and sentiment, super cute CAS card! I agree with Jenny, perfect choice of stamps for these colors! The stripes on the bowl remind me of vintage pottery. Thanks for playing along with us this week at Colour Me, Jenni! super fun card and perfect for the challenge! thank you for joining us at Colour Me! Super cute! Congrats on the pick!